Mr. Gillette transitioned from labor to reward on Thursday, June 21, 2018 at the Kitty Askins Hospice Center in Goldsboro, North Carolina. He was born in Lenoir County, North Carolina on January 12, 1936 to the late Mr. Richard Gillette and Mrs. Sarah Hood-Gillette. He received his education in the Lenoir County public school system. Mr. Gillette was employed as a Construction Worker with ABE Utilities as well as a shoe shiner on Camp Lejeune Base in Jacksonville, NC. Early in life, Ambert met, dated and later married Mrs. Ruth Carol Gillette. From their union, four children were born. Brother Gillette was preceded in death by his parents; Mr. Richard Gillette and Mrs. Sarah Hood-Gillette; his loving wife, Mrs. Ruth Carol Gillette; and his son, Mr. Roderick Gillette. A celebration of life service will be conducted on Tuesday, June 26, 2018 at 11:00 a.m. in the Ebenezer Baptist Church, 209 South Carey Street, La Grange, North Carolina. Pastor Michael A. Johnson will officiate. Interment will be held in the Fairview Memorial Park Cemetery, 195 West James Street, La Grange, North Carolina, 28551. Also, a public viewing will be held on Monday, June 25, 2018 from 2:00 p.m. to 6:00 p.m. in the Britt Funeral Home Memorial Chapel, 414 East Washington Street, La Grange, North Carolina. Brother Gillette leaves to cherish his loving and precious memories to his five remaining children: his daughters, Cynthia Gillette of Goldsboro, NC; Verna Paygar of Raleigh, NC, Rhonda Blackmon of Snow Hill, NC, Nikiala Simmons and husband, Derrick of La Grange, NC; his son, Gregory Gillette of La Grange, NC; his 15 grandchildren; his 26 great-grandchildren; a host of nieces, nephews, cousins, other relatives and friends. 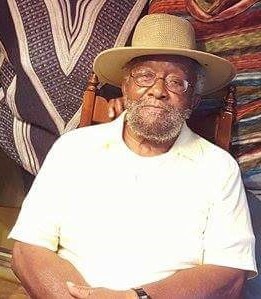 On Tuesday, June 26, 2018, the family members and friends will assemble at the residence of Mr. Ambert Hood Gillette of 208-B East King Street, La Grange, North Carolina at 10:00 a.m. in preparation for the funeral procession.